Pilot Officer F.R. "Speed" Opray of 86 Squadron RAAF (based at Bohle River airstrip) was practicing a combat practice climb to 35,000 feet in his Mustang, A68-501 on 9 August 1945, when he went out of control at 8,000 feet. His aircraft crashed into the sea between Bay Rock and West Point on Magnetic Island just off Townsville. The remains of his Mustang was found by four searching aircraft. Pilot Officer Opray, however, was never found and was posted missing, believed killed. During early testing and subsequent operational history of the P-51 Mustang there were many unexplained accidents with the aircraft failing to pull out of high speed dives and similar manoeuvres. The sound barrier was not a well known or studied phenomen at the stage and the sonic boom associated with these accidents was often reported as an explosion in the aircraft. Some of the American P-51 test pilots had reported seeing ripples running across the aluminium skin of the mustang associated with buffeting. They took photographs of this rippling effect. 86 Squadron pilots had been briefed not to roll the aircraft out into a high angle dive above 25,000 feet, as there was a very high chance that the aircraft would not come out of such a manoeuvre. The control measures to take should one unknowingly get themselves in this situation was to "cut the power, centralise the controls, be gentle with them and pray". During a routine training exercise, "Speed" Opray took A68-501 on a battle climb to 35,000 feet over Magnetic Island and probably rolled it into a vertical dive and did not survive. The Aircraft fell in pieces into the sea between Magnetic Island and the mainland. Quite a few people witnessed his fatal flight. Very little wreckage of the aircraft was found. At the Court of Enquiry, Private W. Yates, of the 19th Australian Personnel Staging Camp stated that he saw the Mustang "flying apparently normally at a considerable height". Later he "heard an explosion and on looking up again noticed the aircraft diving steeply when one wing tore away and the aircraft started to spin towards the sea .... pieces of wreckage continued falling into the sea for some time after the main part of the wreckage had crashed". Sergeant W.G. Ford, of the Townsville Coast Artillery stated that the Mustang dived to approximately 8,000 feet, straightened out shortly after an explosion occurred and the plane immediately went into another dive. W/O2 R. Ford of the 19th Australian Personnel Staging Camp "heard a slight explosion or popping sound followed by the noise of an aircraft engine racing. On looking up I noticed an aircraft minus its tail, diving steeply when one wing appeared to tear away and the aircraft started spinning. At this stage the engine could not be heard and it would appear that it had been throttled back." The Court of Enquiry did not come up with a specific finding as to the cause of the crash. However based on their report and the eye witness accounts it would appear that Opray placed his Mustang to a high speed dive from about 35,000 feet, which led to him breaking the sound barrier. At this point he would appear to have lost control and the aircraft broke up due to severe buffeting. Alternatively when he got to a lower altitude where the speed of sound is higher, he may have been too harsh on his elevators in an effort to recover. Another possible theory was that he may have previously readjusted his trim setting and through his manoeuvres he induced acceleration forces which resulted in a re-entry into compressibility. The tail and wing would have broken off due to severe buffeting and strain during the high speed dive. Flight Lieutenant D.G. Southwell of 86 Squadron had a near miss in a Mustang eight days earlier on 1 August 1945. He took off in Mustang A68-567 and at 38,000 feet he put his Mustang into a right-hand steep turn to test the "compressibility thing" they had heard about. 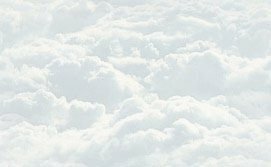 His steep dive was enough to provide sufficient stress to break into the compressed block of air rendering his aircraft totally out of control. His stick was sloppy and the aircraft did not respond when he moved it. This was due to the fact that there was no air rushing over the rudder, ailerons and elevators due to the "compressibility thing". His aircraft went into a flat spiral dive. When it got to 6,000 feet he decided it was time to bail out. He opened the canopy and was bending down to disengage his oxygen supply, when his arm bumped the control stick and he found the aircraft actually responded. He immediately resumed his seat and regained control of the aircraft and landed safely. Once he had calmed down, he called a pilot's meeting and warned them of the dangers of this manoeuvre and recommended they do not try to copy what he had done. Unfortunately for Opray, it would appear that he decided to experiment. 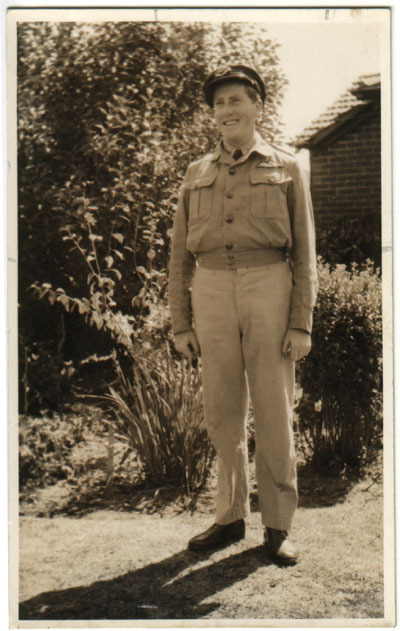 Thursday, 9th August 1945. Age 20. Son of John Stuart Opray and Emily Alice Opray, of Caulfield Victoria. I came across you Townsville page somewhat by chance and was interested to see that you make mention of my uncle, Pilot Officer Frank Opray, after whom I was named. I was born some four months after his death. 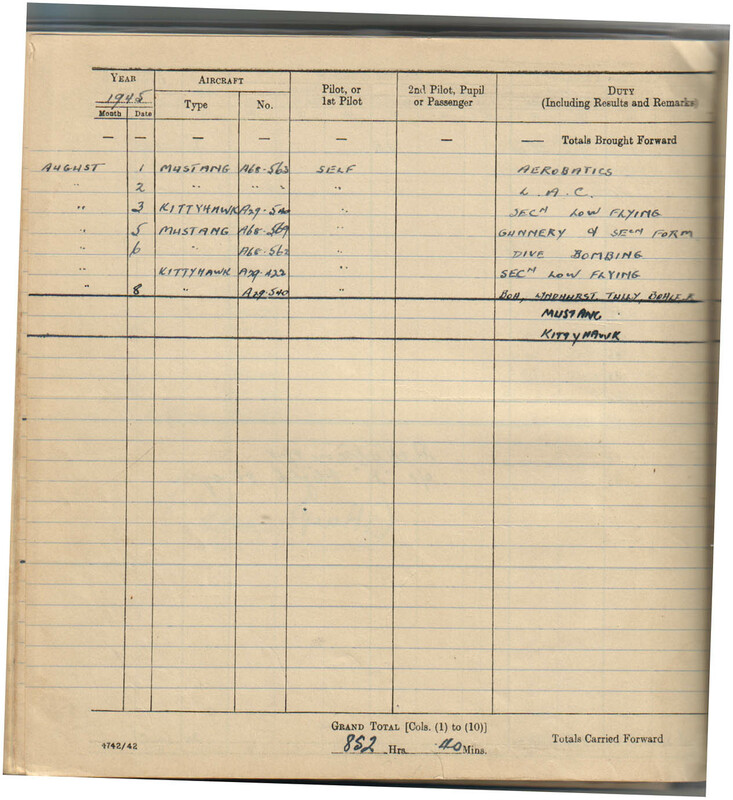 In the listing of aircraft crashes in Queensland you list his crash in the sea off Townsville as being "after July 7th 1945". 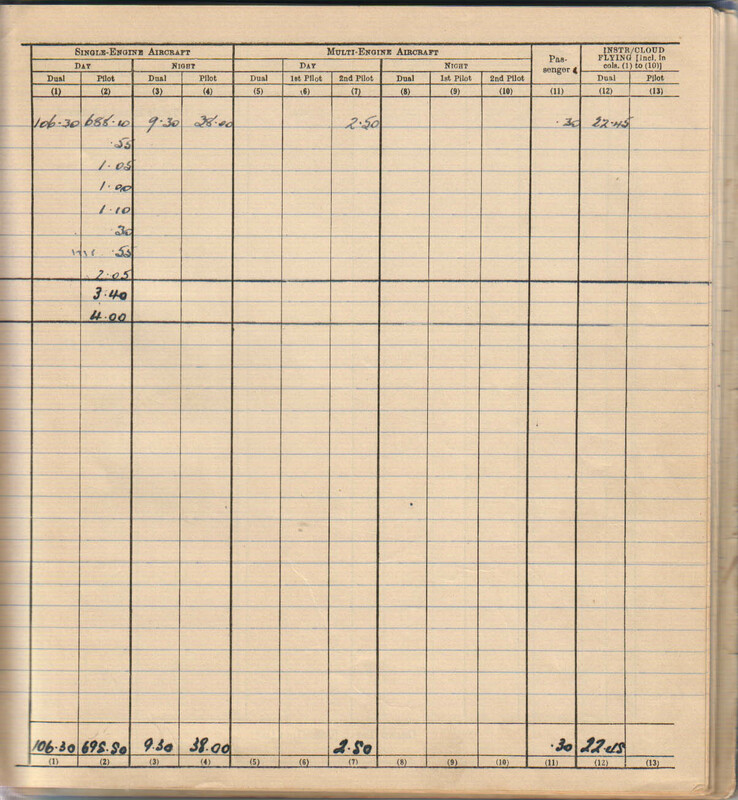 His Flying Log Book, which I have in my possession, shows his last completed flight, in Kittyhawk A29-540, on the August 8th 1945 (I've now amended the page to say "after 8 August 1945 UPDATE - date now confirmed as 9 Aug 45") but there is no record of the fatal flight in the Mustang, possibly the 9th or 10th. Between the 31st July, his first flight in a Mustang, and August 6th, his final completed Mustang flight, he flew A68-562, A68-563 and A68-569. The No. of the crashed aircraft is not shown. I hope this is of some interest to you and I would be keen to discover if any other information on the crash or its aftermath is available. Would such events have been reported in the Townsville press? As a matter of interest (or irony!) my date of birth is 20/12/45 - the day you report the 86 Squadron was disbanded at Bohle River! likewise most interested. I'm sure most if not all the information in Peter Howard's book is unknown to my family. I can provide you with the additional info you are seeking - will scan the log book and a photo and forward it. As I said in my initial email he too was Frank - I was named after him. His second given name was Richard. 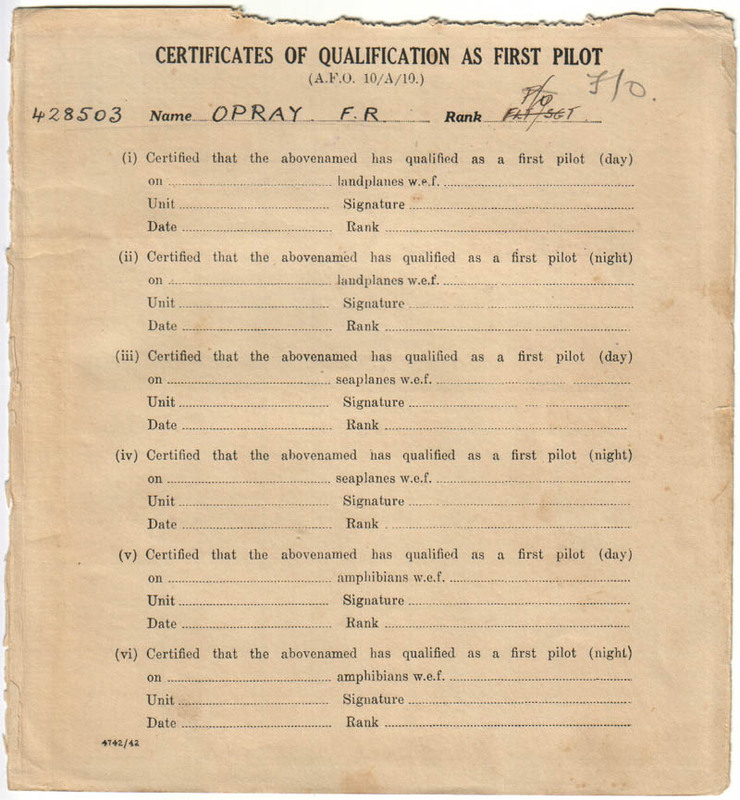 Attached please find scanned copies of a photo of F/O Frank Opray together with extracts from his log book including the last page.